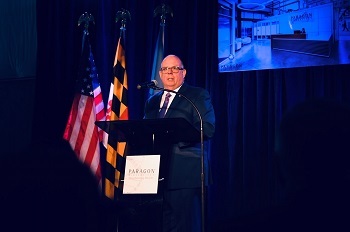 Governor Larry Hogan today celebrated the grand opening of Paragon Bioservices’ new 200,000-square-foot, cutting-edge biomanufacturing facility near Baltimore/Washington Thurgood Marshall International Airport. 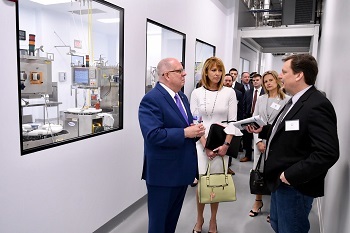 The governor was joined by Department of Commerce Secretary Kelly M. Schulz, Anne Arundel County Executive Steuart Pittman, President and CEO Paragon BioServices Peter Buzy, and regional biotechnology industry leaders. With this new facility and its operations at the University of Maryland BioPark in Baltimore, the company anticipates growing to more than 500 employees by the end of 2019. This new facility will specialize in clinical and commercial gene therapy manufacturing. Paragon contracts with many leading gene-therapy biopharmaceutical companies to develop and manufacture their products. Founded in Baltimore nearly 30 years ago, Paragon is one of the largest and fastest-growing biotechnology companies in the state.